The second annual "Read Across the Field" event was held to celebrate and support the Moonshot Moment. Over 600 people attended, representing over 18 teams (including 14 elementary schools!) 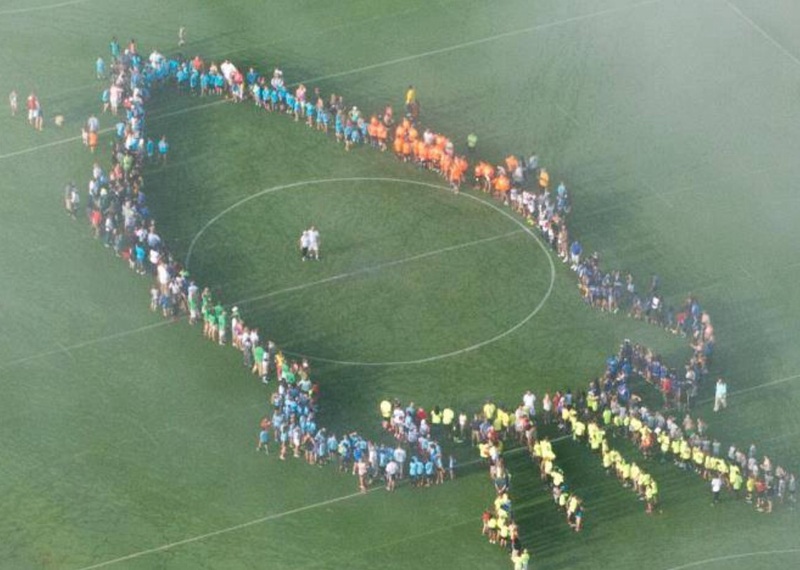 While it was a foggy morning, the Sheriff's department managed to capture an aerial photo of the group. (Note the two leaders in the middle of the field, supeintendent Dr. Fran Adams as the Head Coach of the Moonshot Moment, and principal Adam Faust, the leader of Moonshot Sports.